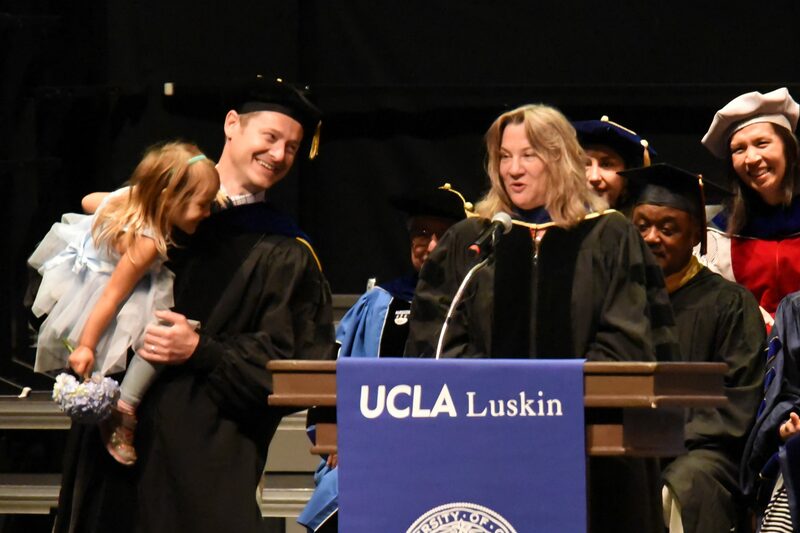 Our doctoral program in social welfare at the UCLA Luskin School of Public Affairs is among the finest in the nation. Each year we select a small group of scholars from diverse disciplines to join us for a rigorous, tailored program of study that includes both personalized instruction and applied research experience. Our doctoral students are guided by expert mentors during their time in the program and our graduates go on to secure academic positions at top-tier research universities across the world. 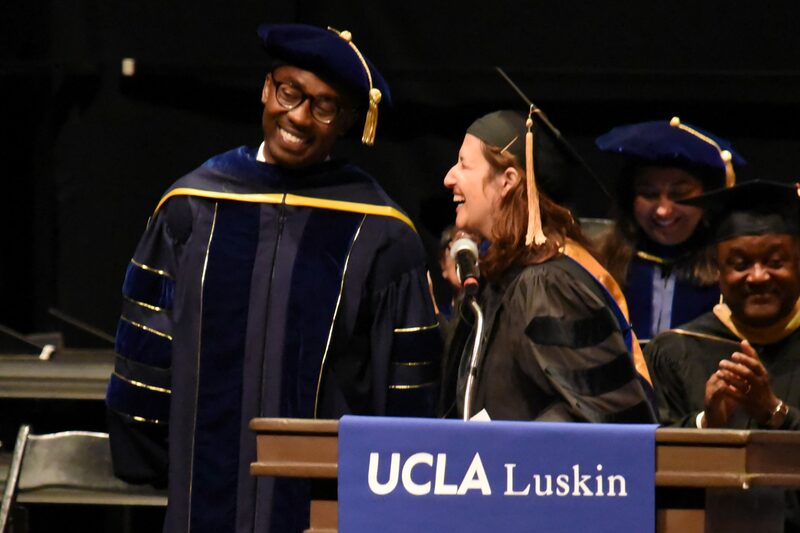 During their time at UCLA, students take advantage of the rich learning resources in the Social Welfare Department and other departments within the Luskin School. 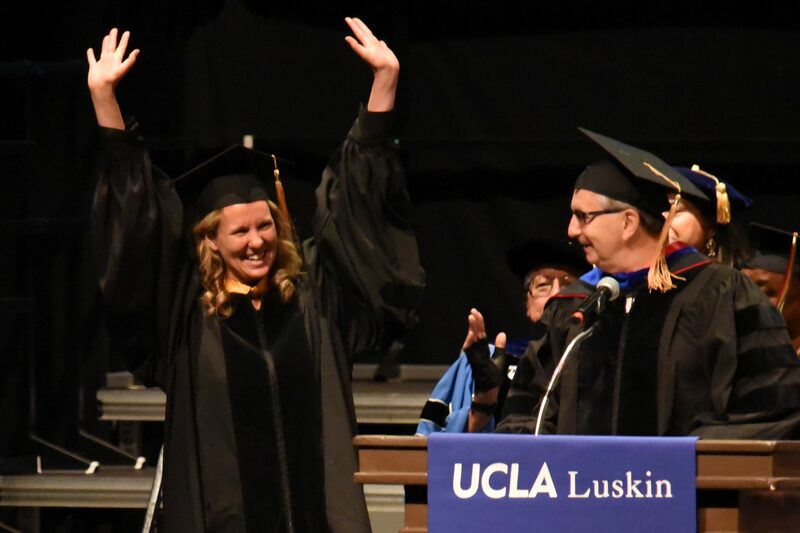 A distinct advantage of our program is its connection to the larger UCLA campus – each year students can take courses in allied disciplines, including medicine, nursing, public health, psychology and sociology. The purpose of this interdisciplinary approach is to enable our students to develop substantive and methodological knowledge consonant with cutting-edge scholarship in their area of specialization. In recognition of the considerable knowledge and skills required of those contemplating academic careers, our students are encouraged to publish in scholarly journals, present at national conferences, and submit extramural proposals to support their independent research. Through these efforts, our students enter the job market with competitive records of scholarly productivity. Throughout the program we offer professional development seminars and workshops on a variety of topics. In their final year, students are invited to join our job seekers program, which offers personalized mentorship for success on the academic job market. Financial aid packages include full tuition plus stipends in the first two years, as well as university fellowships and paid teaching and research assistantships in years three through five. Full-time students will be expected to enroll in twelve units of study each quarter. It is possible to complete the program in four years, although some take a year longer. We also offer a small combined MSW/PhD program in which prospective students without a master’s degree in social welfare can apply for acceptance into a program of study that leads to both the MSW and the PhD degrees. The due date for application materials is December 15th. 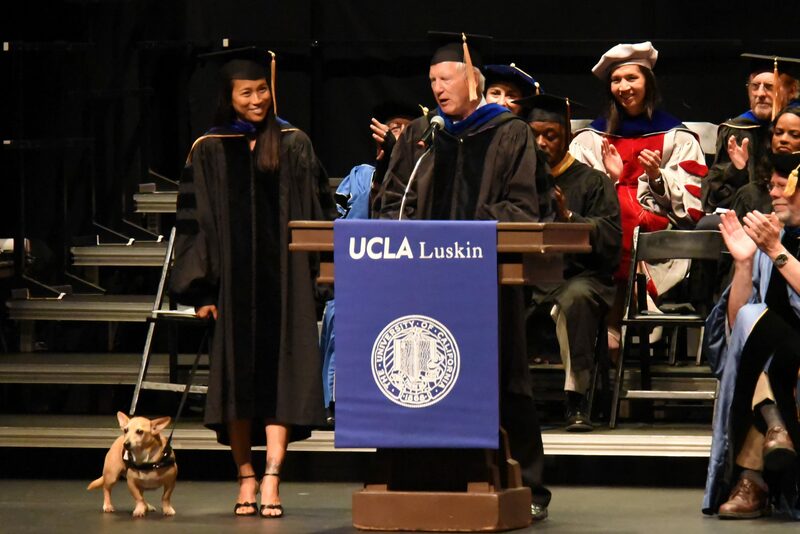 For more information, please contact me by email at Holloway@luskin.ucla.edu or by phone at (310) 825-7840. We look forward to receiving your application and welcome your questions of inquiry. The program has several significant features. Research training, both formal and experiential, is at the core of the program. Flexibility is provided to help students attain in-depth competence in a substantive area of social welfare. Students progress from a common foundation in scholarship and research methods toward a high degree of individualized specialization. This common foundation emphasizes the acquisition of analytic tools needed to understand, appraise and advance knowledge in social welfare. With these analytical tools, the students select a specific area of specialization and develop expertise in that area. Considerable emphasis is placed on the individualized instructional relationship between students and faculty mentors. The learning process involves more than classroom instruction. Students are expected to work closely with faculty in their roles as scholars and researchers. The program is interdisciplinary and students are encouraged to use the rich learning resources of the entire University. Full-time students usually will be expected to enroll in twelve units of study each quarter. There are approximately two years of coursework prior to the dissertation. Although diversity of backgrounds makes it difficult to predict, students are expected to complete the program in about four years. Those in the combined MSW/PhD program usually require an additional year. The Department of Social Welfare offers a program whereby those without a master’s degree in social work can begin a program of study that leads to both the MSW and the PhD degrees. The combined MSW/PhD program provides an integrated educational curriculum for exceptionally talented students who do not already have an MSW degree, but who know they want to prepare for careers as researchers and scholars in the field of social welfare. It allows students to embark on their doctoral course work before completing the MSW program by eliminating redundancy between the MSW and PhD programs. In addition, the combined program provides a structured educational opportunity for students who have master’s degrees in fields other than social work, but who may want to earn an MSW while pursuing the PhD degree. Having an MSW degree is essential to teach practice courses at accredited schools of social work. There are different ways of completing the combined MSW/PhD program and the different routes should be tailored to the individual student’s experiences and objectives. The second MSW field placement is most often completed as a summer block placement after the first MSW program year. However, the program can be individually tailored. The Doctoral Program of the Department of Social Welfare provides various sources of financial aid, including fellowships, tuition waivers, research and teaching assistantships, and training grants. The basic financial aid package for all new students accepted into the program consists of tuition coverage and at least two years of stipend support. Additional funding is possible after year two through research and teaching assistantships, private fellowships, competitive campus grants, among other sources. Our students are typically funded for at least the first four years of study. 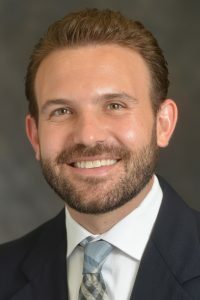 Eugene V. Cota-Robles Fellowship provides 4 years of support for entering doctoral students from cultural, racial, linguistic, geographic and socioeconomic backgrounds that are currently underrepresented in graduate education and who are interested in a career in college or university research and teaching. Applicants must submit a Diversity Statement by December 15. Instructions are available at Eugene V. Cota-Robles Fellowship | UCLA Graduate Programs. Doctoral students who are interested in acquiring experience in teaching as preparation for an academic teaching role are provided with the opportunity to assist faculty members in the instruction of selected undergraduate and graduate courses. Interested students are encouraged to apply for teaching assistantships after completion of the second year in the program. The UCLA Financial Aid Office administers grants-in-aid and loans to students. The Fellowship and Assistantship Office of Graduate Division administers University fellowships and is a source of information and application materials for fellowships offered by private foundations and agencies. More than 30 outstanding scholars are currently enrolled in the doctoral program in Social Welfare.